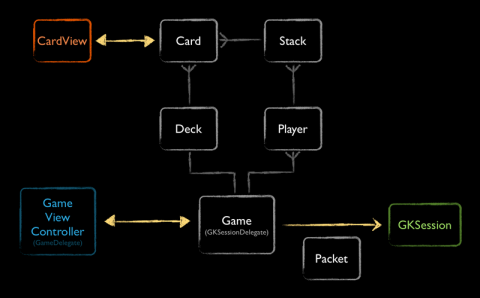 Create a multiplayer networked card game! Welcome back to our monster 7-part tutorial series on creating a multiplayer card game over Bluetooth or Wi-Fi using UIKit! If you are new to this series, check out the introduction first. There you can see a video of the game, and we’ll invite you to our special Reader’s Challenge! In the first, second, third, and fourth parts of the series, you created a basic user interface and created the networking infrastructure for the game. At this point, the clients connect to the server, handshake, and everyone is ready to play! In this fifth part of the series, we’ll deal with the cards (pun intended!). :] We’ll create the model classes for the Card, Deck, and Stack, create the animations and logic for dealing the cards and allowing the first player to flip over cards. All the setup you’ve done so far was to get the players connected and talking to each other. Now you can finally get to the fun stuff… the actual card game! This modifies the method so that when the game begins, the server picks a random player to start their turn, and deals cards to all the players. Inside these methods, you’ll be adding some code to notify the clients who got what cards so they can show the appropriate dealing animation as well. The _startingPlayerPosition variable keeps track of which player started the round. With each new round, you will increment this variable, so that the next player clockwise gets to start the next round. The _activePlayerPosition keeps track of whose turn it is in the current round. This picks one of the four possible positions at random, but only chooses it if there’s actually a Player object at that position (if less than four players are signed in). This works because arc4random() % 4 returns a number between 0 and 3, and that’s exactly the numeric values for the symbols from the PlayerPosition enum. The dealCards method is going to be a bit more complex. 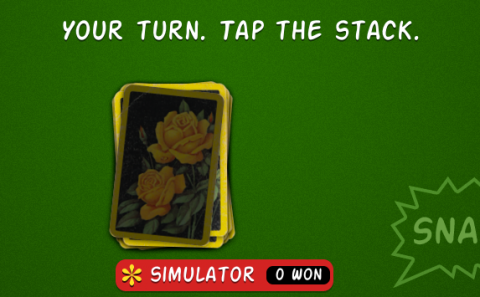 Here you have to assign Card objects to the Players. The Card objects are drawn from a Deck of 52 cards. Each player has two Stacks of Cards: closed cards, which are face down, and open cards, which have been turned over. These are all new data model classes that you haven’t written yet, so let’s add these new classes now. As a reminder, here’s the class diagram for this app. Pay particular attention to the Player, Stack, Card, and Deck classes and re-read the paragraph above, and make sure you understand how they all fit together. Let’s begin with the Card class, which represents a playing card. A playing card has basically two attributes: a suit — spades, hearts, clubs or diamonds — and a value. So this will be a pretty simple class. Here you use an enum for the suit. The value ranges from 1 to 13, where 1 is the Ace, 2 through 10 are the number cards, 11 is the jack, 12 is the queen and 13 is the king. Snap! is played without jokers, so you don’t need a value for those. 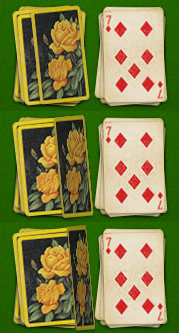 Initially, the cards are added to a Deck. The deck will contain 52 cards (4 suits of 13 values each). The deck can be shuffled and you can draw cards from it, which is what you'll do during dealing. There are a couple of different ways that you can randomize the contents of an array, but I like this particular one. You first allocate a new mutable array named "shuffled". You loop through the original array, pick a card at a random position and add that to the end of the shuffled array. Then you remove that card from the original array, and repeat. By the time the loop ends there should be no more cards in the original array -- as a defensive programming measure you verify that with the NSAssert. Just before you return, you assign the shuffled array back to _cards, so the Deck will use the randomized array from then on. You allocate a new Deck, then shuffle it. As long as the deck still has cards in it, you loop through the Player objects and draw a new Card for each player. Note: Notice that the for-loop begins at _startingPlayerPosition and ends at _startingPlayerPosition + 4. This is a little trick that takes advantage of the fact that the PlayerPosition enum starts at 0 (PlayerPositionBottom) and goes clockwise (to left, top, right). By adding 4 to the starting position and then looking at "p % 4", you always go around the table clockwise, no matter what the value of _startingPlayerPosition is. You'll use this trick a couple more times later on. In this case, the starting player is at position 1 (PlayerPostionLeft). You always deal out all the cards from the deck, so with three players one player has one card more than the others because 52 doesn't evenly divide by 3. Now let's assign the Card objects to the Players. For this you need to make a new class, Stack, that simply keeps a pile of cards. Instead of making this Stack class, you could have just given Player two NSMutableArrays to keep its piles of cards in, but having a separate Stack class makes the code clearer. There's more to come in that method, but this is a good time to build & run the app to see if it still works. The text on the screen should now change to "Dealing...". So far you have created only data model classes and used few of the standard views (UILabels, UIImageView). In this section you will make a CardView class that represents a Card on the screen. In a Cocos2D game you might make Card extend from CCSprite, in which case it serves both as the data model and the view, but in Snap! you'll strictly separate our classes along the lines of the Model-View-Controller pattern. 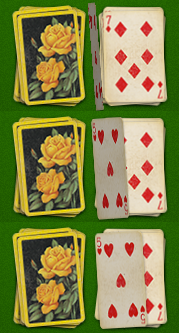 The CardView object has a reference to the Card object that it represents, and a method that performs the dealing animation. Over the course of this tutorial you'll be adding more animation methods to this class. CardView is a UIView (with dimensions of CardWidth by CardHeight points). It employs a UIImageView as a subview that contains the image of the card. In the Images folder for last part's resources (which you already should have added to the project earlier), there are 52 images for the front of the cards, and one for the back. There are four possible player positions and you want to make it look like the players are gathered around a table. So depending on the player's position you have to calculate the position of the cards, but also the rotation angle of these cards. You add a little random fudge factor to the final position, to give a more realistic feel to how the cards end up on a pile. // Returns a random number between 0.0 and 1.0 (inclusive). // Returns a random number between 0 and n (inclusive). This gives us a CardView class that can be animated, so let's put it to good use. 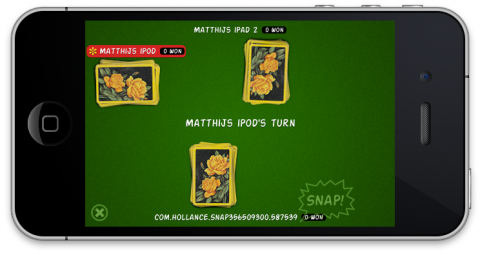 You loop through the players, clockwise from the starting player's position, and for each Card that this Player has you add a CardView and tell it to animate. The delay parameter prevents the cards from flying out all at once. Notice you loop from 0 to 26 because no player will ever have more than 26 cards at this point. Let's spice this up with some sound! The last part's resources also included a Sound folder that contains several .caf files. Add that folder to the project, and make sure they are added to your Snap target. This first sets up the audio session, just to play nice with any other sounds that may be playing on your device (such as iPod audio), and then loads the Dealing.caf sound. This plays the dealing sound after 1 second. Because you set the AVAudioPlayer's numberOfLoops property to -1, the sound keeps looping indefinitely, so you have to stop it after the dealing animation completes. That's what the call to performSelector:withObject:afterDelay: is for. Because you've used performSelector:withObject:afterDelay:, it is conceivable that the user taps the exit button while the cards are still being dealt. You don't want the afterDealing method to be called anymore in that case, so you use cancelPreviousPerformRequestsWithTarget: to stop any pending messages. Try it out. The card dealing animation should now be accompanied by a cool sound effect! Note: performSelector:withObject:afterDelay: is not the only way that you can schedule operations to run in the future. You can also use GCD with blocks, for example. Because you're using UIKit our game does not have a "game loop" that runs 30 or 60 times per second, so you have to do our timing using other mechanisms. If you really wanted to you could create your own a NSTimer, but performSelector:withObject:afterDelay: is just as easy, as long as you remember to cancel the requests when you no longer need them to be performed. So far the dealing animation only happens on the server. The server also needs to tell the clients that the cards have been dealt. Because dealing cards includes a randomness factor, you cannot have each client do its own dealing. Instead, the server needs to send a message to each client that says which player has received which cards. This uses two methods you haven't seen before, addCards:toPayload: to write a dictionary of Card objects into an NSMutableData object, and cardsFromData:atOffset: to do the reverse, read a dictionary of Card objects from NSData. Here you make a new NSMutableDictionary named playerCards that puts the Card objects into the dictionary under the player's peerID as the key. Then you create a PacketDealCards packet and send it to all the clients. This takes the Card objects for each Player, and places them on its closedCards stack. It also figures out what the value for _activePlayerPosition needs to be. Note: Recall that player positions are relative for each client, so the server couldn't simply send his position values. Instead, you always send peerIDs and then let the client figure out which position corresponds to that peer ID. The client then sends a PacketTypeClientDealtCards message back to the server to let it know the client received the cards. Finally, it starts the exact same dealing animation that you saw on the server by calling the gameShouldDealCards:startingWithPlayer: delegate method. And that's it as far as the dealing is concerned. Compile and run, and the game should deal cards on both devices, and you're ready to play! The basic flow of the game is like this: the active player taps his stack to turn over the top-most card. Then the player to his left (you're always going clockwise) becomes active and everyone waits until that player turns over his top-most card. Activate the next player, turn over card, activate player, and so on. This repeats until there's a matching pair on the table and someone yells "Snap!". In this section you'll focus on activating the players and having them turn over their cards. There's more to this than you may think! If you're the server then it sends a PacketActivatePlayer packet to all the clients to let them know a new player is active. On both server and client, the GameDelegate is notified so that it can place a graphic next to the name of the newly activated player. These changes take care of showing the active player on the server, but you still need to send out the PacketActivatePlayer packets. Note: The new packet just has a peer ID. It's almost identical to the PacketOtherClientQuit message, which also just has a peer ID. You could have re-used that same packet class -- but with a different "packetType" value -- but I find that having a class name that describes what the packet is for helps to make the code easier to read. Also, you never know if you need to change one of these packet classes later, making your code reuse actually work against you. In fact, that's what you'll do later on so that PacketOtherClientQuit and PacketActivatePlayer will actually work differently even though they carry the same data. The first player, which was randomly chosen in beginGame, is now highlighted. The screenshot was taken from the server, but on the clients it should also highlight the same player, even though it will be in a different position on the screen. 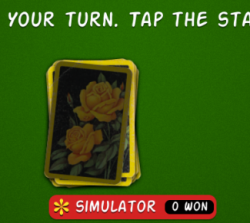 When the player taps this button, you will turn over his top-most card and then activate the next player. The showTappedView and hideTappedView methods will place a special image on top of the top-most card in other to highlight it. It's always a good idea to show to the user whether or not their taps have an effect on on-screen elements. The _tappedView itself is a UIImageView that is lazily loaded. The Darken.png image is a rounded rectangle, basically the shape of a playing card, that is completely black. You set the opacity of the image view to 0.6, so that it darkens whatever is below it. That happens to be the CardView for the top-most card on the Player's closedCards stack. You set the position and transform of the _tappedView to those of the CardView so that it is placed and rotated in exactly the same way. 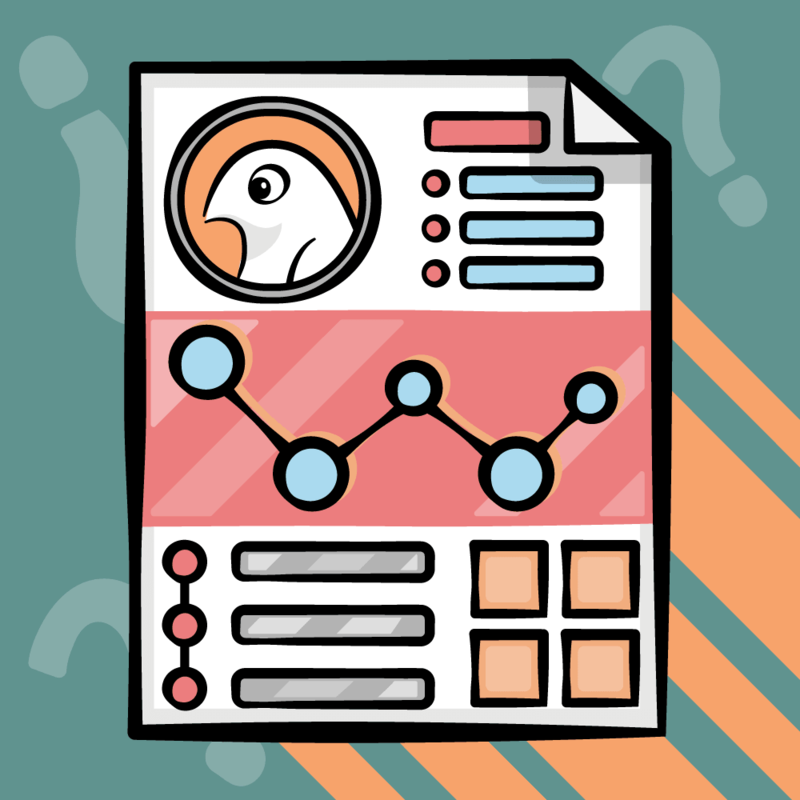 This method simply loops through all the subviews of the "card container" UIView to find the CardView that represents the specified Card object. This is why you added the CardViews to their own container, so that you don't have to look at all the UIViews in our screen, only those that are guaranteed to be CardViews. The reason turnCardForPlayerAtBottom calls turnCardForPlayer:, is that you will also want to turn cards from elsewhere in the code later on. 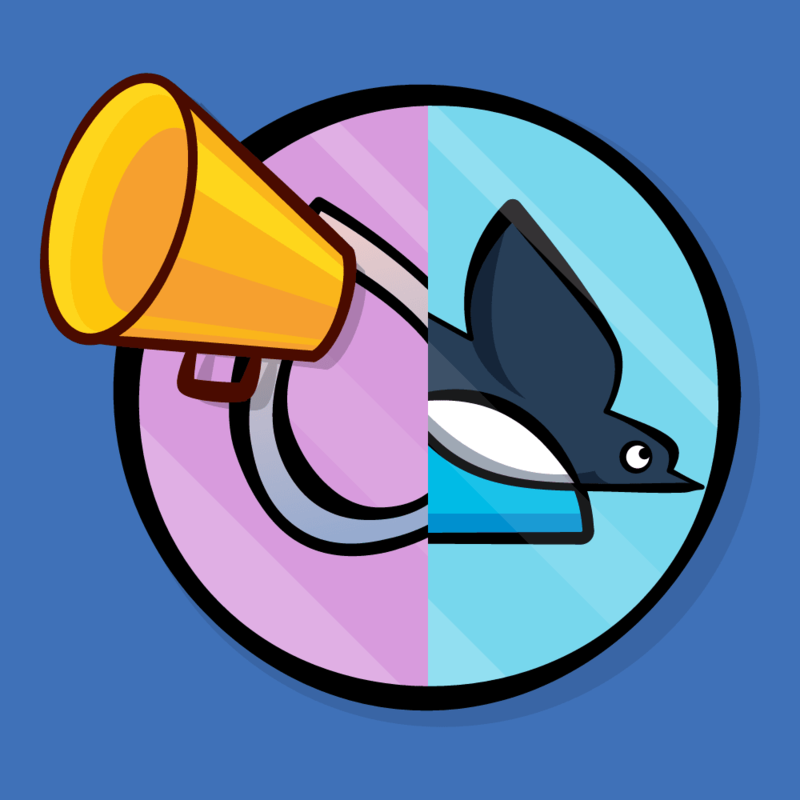 In turnCardForPlayerAtBottom you make sure that only the active player can turn a card, and that this can only happen while the game is in the GameStatePlaying state. And of course, the active player must actually have any cards to turn over. As you can see, Stack is a pretty basic class that just has wrappers around the methods from NSMutableArray. But it does read a lot more naturally for our problem domain: addCardToTop and removeTopmostCard actually sound like operations you would do on a pile of cards. That's a big one! Several things are going on here. The new loadFront method will load the UIImageView with the card's front-facing picture. You also load Darken.png (the same one you used earlier in GameViewController to highlight the card when it was tapped) into a new UIImageView and add it as a subview, but its alpha is initially 0.0, so it is fully transparent. Then you calculate the end position and angle for the card. To make this work you will have to change centerForPlayer: to recognize that the Card is now turned over, which you'll do in a sec. For a turned-over card, centerForPlayer: returns a slightly different position, so that it moves over to the open pile. The animation itself happens in two steps, which is why you calculate the halfway point and the halfway angle. The first step of the animation reduces the width of the card to 1 point, while at the same time making the darkenView more opaque. Because the darkenView covers the entire surface of the card, the CardView now appears darker, which simulates the shadow that the light casts on the card. It's only a subtle effect, but subtle is your new middle name. Notice also that you slightly scale up the card view (by 120%) as it approaches the halfway point. That makes it seem like the card is actually lifted up by the player. Another subtle tweak that makes our animation more lifelike. A keen eye will have noticed that you set the scale mode to UIViewContentModeScaleToFill. That's necessary to make the card-flip illusion work, because you are resizing the image view (by reducing its width) and you do want the image itself to resize accordingly. And that's it for the animation. The player who is now first active can keep flipping over cards until he runs out. Tip: To debug animations you can choose the Toggle Slow Animations option from the Simulator's Debug menu, or tap the Shift key three times in succession while the Simulator window is active. 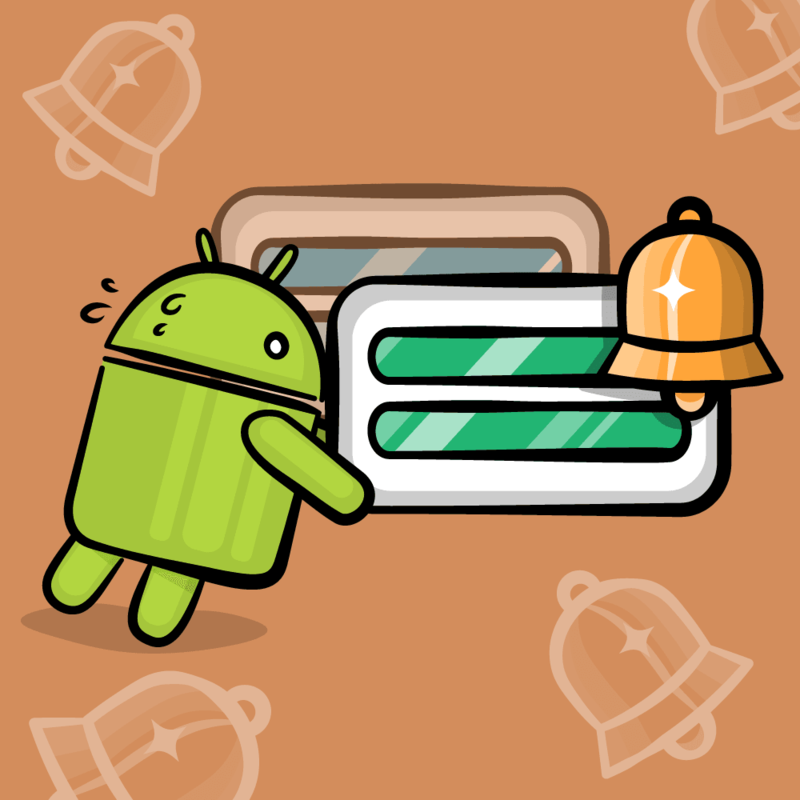 That will show you the animations in slow motion, which is a great help. If you're a fan of Core Animation, then you may find it easier to flip the card with a 3D animation around the Y axis. For Snap!, reducing the width looks good enough, even though it is not 100% perspective-correct. If you were thinking about using the built-in "TransitionFlipFromLeft" UIView-transition, then know that won't work very well because our card views are rotated already around the center of the table and then an additional rotation makes it look weird. Here is a sample project with all of the code from the tutorial series so far. 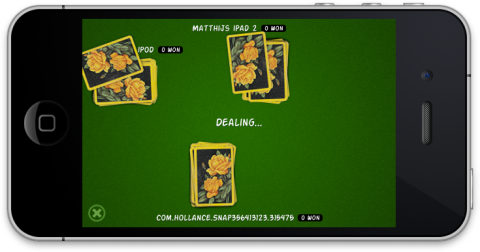 You've made great progress on the game so far - you can connect multiple devices together, deal cards, and flip cards - complete with animations and sound effects. What's next? Right now only the starting player can turn over his card. In Part 6, you will make the going-round-the-table logic work, so that each player gets a turn! In the meantime, if you have any questions or comments about this part of the series, please join the forum discussion below!